In this protected area of our website, you can reserve and purchase your tickets online without standing in lines or waiting for opening hours. 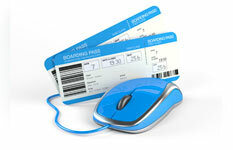 Simply click on the link that follows to access our online ticketing service. Check the bus schedule and then purchase your ticket. You can also take advantage of our low-cost promotional tickets for trips to/from Rome-Vasto and to/from Rome-Pescara. Before proceeding with your purchase online, be sure to have read and accepted the conditions and regulations listed on this page. Di Fonzo e F.lli S.p.A.